Spending the money you don’t actually have can be empowering and liberating, but it can come at a high cost if you lose yourself in such a mindset. The very concept of credit exists because nobody wants to wait until money accumulates sufficiently enough for our desired purchase to be fulfilled, however, it doesn’t take long until credit shopping spins out of control. Moreover, someone will always take advantage of people who want things, and they want them now. It’s, therefore, your responsibility to understands all the rules of engagement, even before you apply for a credit card. Contrary to popular opinion, if you know what you are getting involved with, there’s not much danger of stepping into credit card debt. Often, people make it sound that simply by having a credit card, your financial troubles are just on the horizon. This is a gross exaggeration that probably started circulating by people who have no self-control whatsoever. In addition, even if you do not possess even a modicum of self-control, you can set up your credit in such a way that it prevents you from spiraling out of control. 1.A limited 30-day credit card, usually offered by American Express. This is a fantastic method of never getting into debt as you have to meet your payment deadline at the end of each month. Therefore, no debt transfer into the next month is possible, which means no compounded interest on your rising debt. 2.A regular, revolving credit card that’s commonly called an open-end account. In the case that you know in advance that you won’t be able to repay your debt within a month’s time, this is your only option. Visa, MasterCard, Diners Club are the most known players in the consumer credit market. Any of those credit cards are practically admissible in every part of the world. As you have noticed, the open-end account is also called a revolving credit. The trick to not getting into debt is to not use such credit cards as revolving. Delete the “revolving” part of your credit card from your mind. Millions of people are successfully doing exactly that, so there’s no reason that you should be the exception. In short, do not treat your credit card as a debt management tool but as a payment tool. Nowadays, there are hundreds of apps that allow you to easily track all of your charges, fees, and payments, and every bit of this vital financial data is literally available to you at the tip of your fingers, 24/7. In most cases, this process can be automated, so that you can receive notifications when a payment is due, how much over the set limit have you spent, set up automatic payments, so you always pay the minimum, and so on. Although you should always treat your credit card as a payment tool, there are times when it’s wise to use it as a debt management tool. If you want to invest in something or see a great deal on some purchase that you are certain it will not come again, then the protracted payment would make sense. Of course, while paying the minimum payments for balance transfer into the next month. Just make sure that this period is as short as possible, as transferring your balance into the next month can affect your credit score down the line. With this in mind, you should not go over 6 months of repayment span. Nonetheless, such endeavors should always be viewed A credit occasions that must be avoided if possible. If anything will get you into a credit card debt, it’s the mindset of graduality– “that wasn’t so bad, let me do another one.” Next thing you know, you are over your head with compound interests, fees, and penalties. Credit score is something that should always be at the forefront of your mind, even before you sign up for your credit card. The better your credit score is, the lower interest rates you will get, and more options will be open to you in any future dealings with the bank. In contrast, getting rid of a negative credit score is a long process that requires meticulous self-discipline, which most people are not capable of. Therefore, it’s best to avoid getting a poor credit score altogether. Credit score formula has been developed by Fair Isaac Corporation (FICO), situated in Minneapolis, which is why it’s commonly known as the FICO score. All major credit bureaus – TransUnion, Experian, and Equifax are using the FICO credit formula, for which they pay royalty to the FICO. In turn, all banks use the compiled financial report of the 3 credit bureaus, which comes down to a 3-digit number – your credit score, ranging from the lowest of 300, to the highest of 850. Another key point to keep in mind is that a credit score less than 600 will not be sufficient for most creditors to qualify for a loan. You might not even be able to make a balance transfer. On the other hand, if your credit score is above 600, you will almost certainly qualify for much lower interest rates, and you can apply for new loans without negatively impacting your credit score. On balance, if you suspect that some factor might influence your credit score, it probably will. The banks and other creditor institutions have a well-oiled machine when it comes to dealing with missed payments. They usually follow procedures based on how much time has passed since your last payment. After you are 30 days late, you will receive your first contact attempt, other by phone, email, or mail. You gain nothing by not responding to this communication so be as responsive and honest about the reasons for the belated payment as possible. If you stall or avoid the creditors, they will step it up a notch, sooner than normal procedure requires, and you lose good faith with them. You should consider this 30-day period a fixable phase of the process, and the creditors might even meet you halfway if you proceed to engage them in an open and honest manner. After you are 60 days late, penalty interest rates come barging in, as is stated in almost every contract one gets when you sign up for a credit card. Penalty interest rates are called that for a reason, as you will see a drastic increase in interest rates, by over 100% from the initial one, at least. Additionally, your account will start to accrue late fees ranging from $20 to $30. Needless to say, your credit score will also begin to take a dive, which will negatively affect all your future prospects. After you are 90 days late, you will lose access to your account entirely while still being expected to make full balance payment. At this stage, creditors will stop bothering with you, as they sell your debt to a third-party collection agency. From then on, depending on the state in which you reside, you can expect maximum pursuance of legal action against you, along with garnishing your wages, seizing your property, etc. If you were already too enthusiastic about the usage of your credit card, and now you are suffering from debt card anxiety, not all is lost. Although the lack of planning is likely the primary cause of your debt crisis, you can no longer afford to not have a plan and to not treat your debt for what it is – a debt crisis. The sooner you get out of it the sooner you will lift the anxiety and stress off your shoulders. Put a limit on all of your spendings except for the most basic needs like food, rent, and utilities. Think hard and long about how you ended up in debt in the first place. Make a list of all the factors contributing to your financial troubles. Make a few inquiries if it’s possible to reduce your interest rate. Preferably, talk to someone in person at your bank. They will likely prove to be very useful, as they deal with such situations on a regular basis. Pay the highest interest rate payments and the minimums first, as you would want to stop the leakage first. Minimums are the holes that you need to plug first, so you don’t get flooded with compound interest. Additionally, if prioritizing the highest interest rate payments seems daunting and impossible, in that case, it might be best to go from smallest to biggest balances. Do not use your credit cards until all repayments have been met. This includes low-interest promotional offers that are specifically marketed as a method of paying off your old cards. Thinking that another card will help you get out of your financial trouble is the kind of thinking that likely got you into trouble in the first place. Install a specialized app that deals with debt payments, as it’s always helpful to get everything crystal clear, in a succinct visual form. Some of these apps will maximize your debt-payment efficiency, and even unveil new ways of saving money. If you are absolutely sure, beyond any doubt, that you will not use a new credit card for anything other than repaying your debt, you could open a new credit card for the purpose of Balance Transfer. If your credit score is still good enough, you might be able to cut your rate significantly enough to make a difference. In this scenario, other competing banks might give you a break, giving you just the chance you need to get out of the debt cycle. At this point in the credit game, there’s not much sense in worrying about your credit score. Doing that will only increase your stress levels. A credit score is vital for seeking new loans, account types, and could even be considered a meaningful metric when seeking a new job, but you are already behind such concerns. If these steps don’t work for you, take an extra step by seeking outside help. The National Foundation for Credit Counseling, as well as many other online sources, can give you an advice that’s more applicable to your specific financial and living situation. Furthermore, you could offer to settle your credit card debt by paying less than the actual balance. This will erode your credit score greatly for many years, but if you present your case well, creditors will meet you if you are already many months behind. However, keep in mind that, in addition to lowering your credit score, a forgiven debt will be counted as a taxable income, unless it’s from declared bankruptcy. Lastly, in the worst-case scenario, you at least won’t go to jail, as debtor’s prisons were abolished in 1833. However, you will then face a lawsuit, and when the judgment is inevitably won on the side of the creditors, they will be able to automatically seize a portion of your wages, seize your property, and other assets that were non-exempt. At that point, thinking about your credit score will not even be worthwhile as you will be largely cut off from the credit system in any meaningful and beneficial capacity. 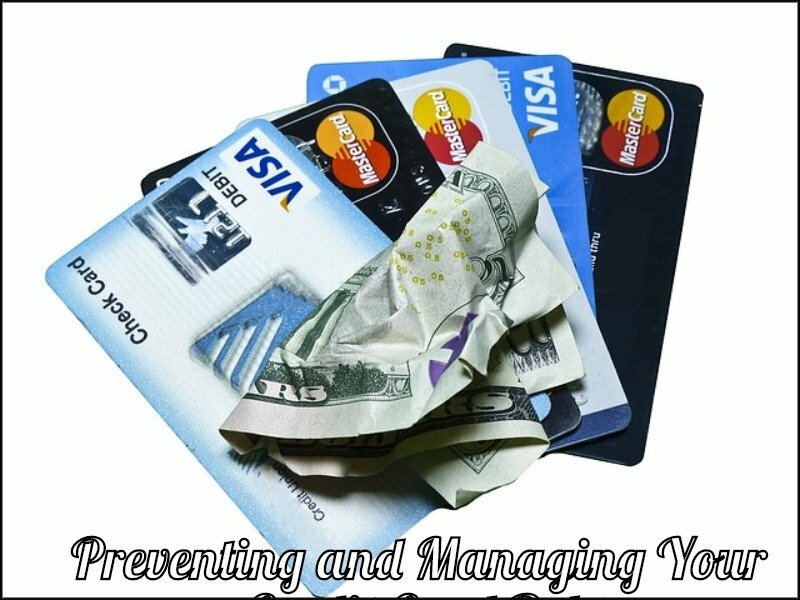 Best protection for your credit card consolidation Release Credit Card Debt check out CCCR.